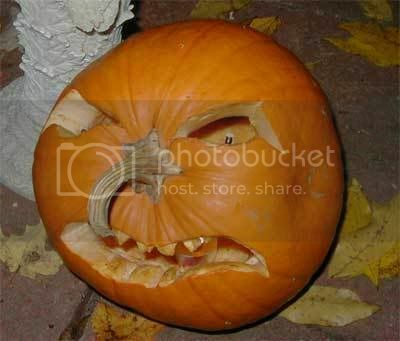 In the spirit of Halloween I thought I would start a topic where people can post thier pumpkin carving pictures. 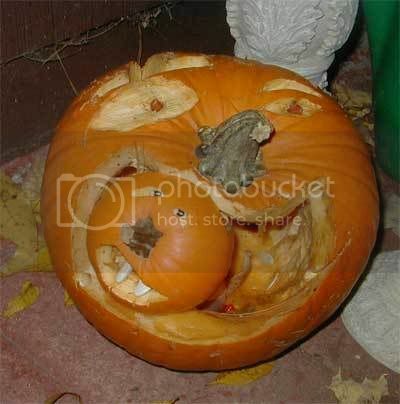 I will start by posting some pics of the pumpkins my best friend and his family carved. I'll be posting mine tomorrow or the next night. 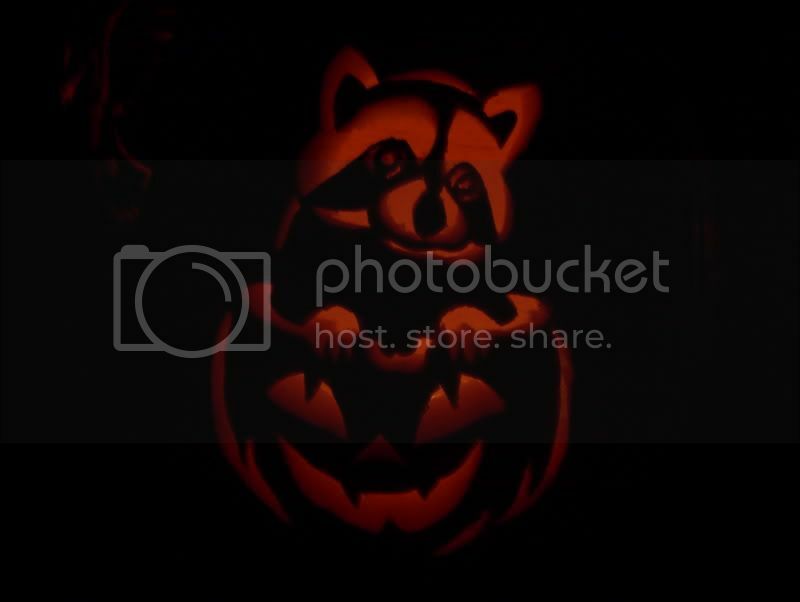 Feel free to post your own carving pics here in this topic. Nice. the third one is my fav. 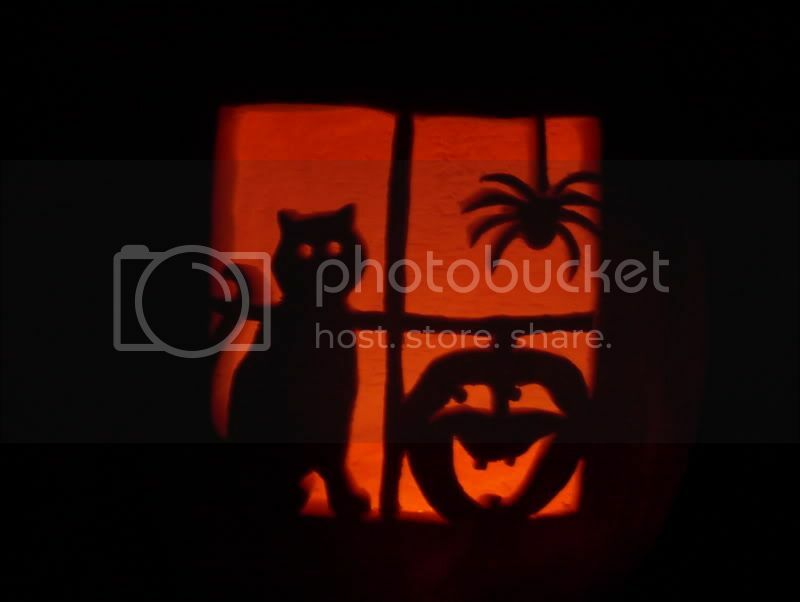 It would be cool to make a low resolution automated pumpkin carving machine. Have a long (5 or 6 inch) screw cutter being spun with a Dremel, then have X and Y position using some threaded rod and a stepper motor. You could set the pumpkin on a turn-table that is being run by a stepper motor and have the Dremel horizontal and being moved up and down by a threaded rod and a stepper motor. Great idea, but try to get it done by Halloween though lol. It would make for a fun project, I've never experimented with stepper motors. I still havn't gotten around to doing my carving yet. Pumpkins are cheap for the most part, everyone go get a pumpkin at your local produce (Adams is a great place) and post some more pics of carvings. We could turn this into a contest if you guys want to. 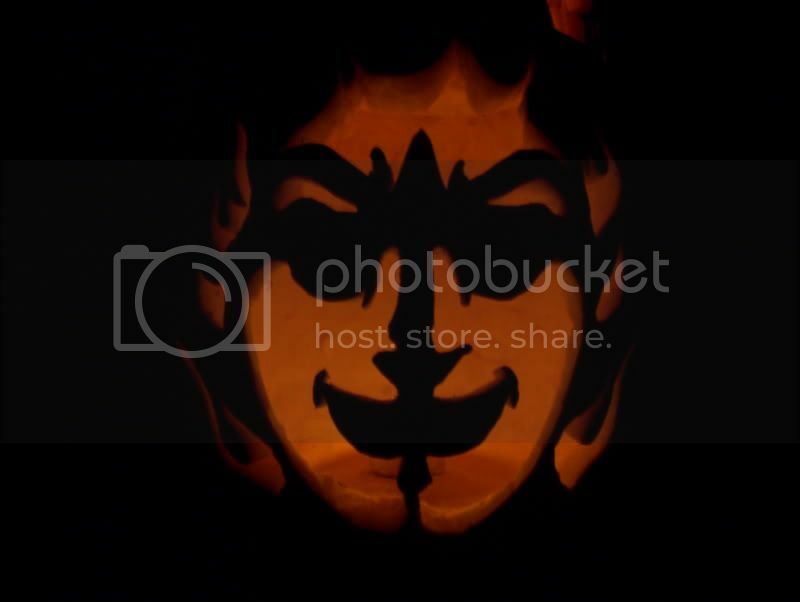 10 more days left to get your carving pics posted. The third one is my favorite as well, that one was done by my best friends' mother. The turntable is a great idea, that would allow to go around the entire front and sides of the pumpkin. A good contest for next year could be for the best tech pumpkin (using LEDs for example). You would manually plunge the device into the pumpkin at a pre-determined spot and have a rotary cutter that is long enough to go through very thick materials. I think it would very possible. I think I might have some steppers around somewhere but I am not sure how easy it would be to tie it into a computer program to direct it. I'm kinda disappointed in you guys here. I figured everyone would submit some carving pictures in the spirit of Halloween. I'll do mine tonight or tomorrow afternoon. Here's two more that my mother and my little brother MJ did. 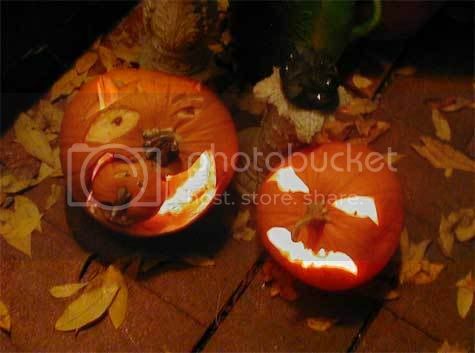 The big pumkin is eating the little pumpkin, I think that's pretty creative. The one my Mother did is scary looking. Mine's still comming, waiting til it's closer to Halloween.